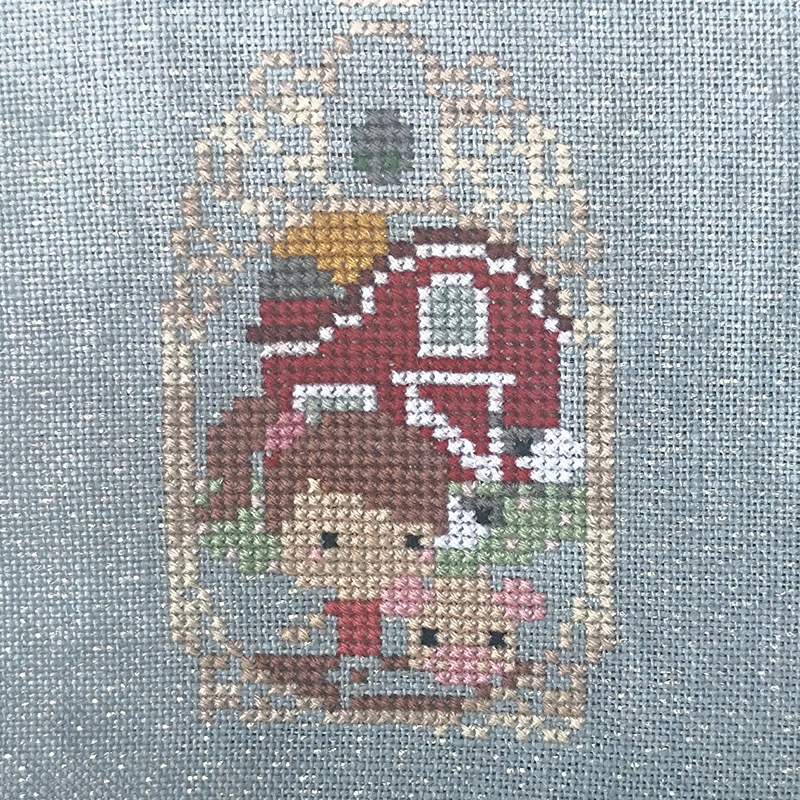 This is a recent progress photo of one of my WIPs (Work In Progress), Story Time Sampler by Frosted Pumpkin Stitchery. This project is one that I started last year, but then put aside for others when the frames around each little picture felt too complicated to stitch quickly. Now that I am working on it again, my technique has improved enough that I am able to stitch up the frames more quickly and with a more uniform look. I hope to finish this one next Sunday during my weekly Sip and Stitch at Starbucks (more info can be found at Meetup), so you can look forward to a picture of the entire project thus far. Can you guess which storybook this picture is about?